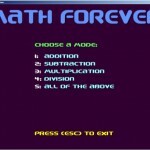 Grey Alien Games » Blog Archive » Math Forever – new minigame! 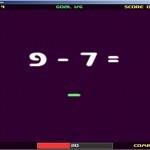 Math Forever – new minigame! 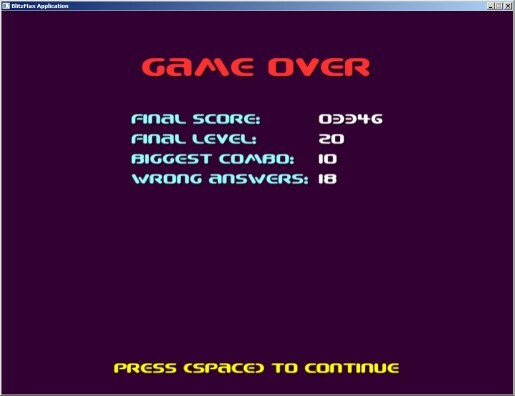 It’s an arcade-style maths game where you have to type answers to the questions as fast as you can before the timer runs out. Each level requires you to get more answers right (up to a max of 10), and the questions get harder, and your time reduces by 5 seconds (down to a minimum of 15 seconds). If you can get past level 11 then you must be extremely good because I can’t get to level 12 yet and I made the game! Check out my final score and level above whilst playing on the “all of the above” mode. Can you beat it? Post a screenshot. 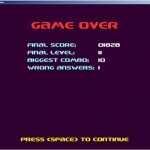 This entry was posted on Tuesday, October 12th, 2010 at 5:01 am and is filed under Minigames. You can follow any responses to this entry through the RSS 2.0 feed. Both comments and pings are currently closed. Awesome! My dad made something like this for me way back on a ZX Spectrum. I love it! Your particle effects and sound effects to really give positive reinforcement for playing. The more we can game-ify the learning process the more engaged our kids will be. One thing: you can use the numpad to play, but not to select mode on the first menu. I really love this and think you could successfully SELL a deeper, more polished game like this. Very nice! I made it to Level 12 – 2090 pts, 1 wrong answer, biggest combo: 10. @McFunkypants: Great, glad you like it! Yes agreed, sounds and special effects do deepen the experience so it’s something I like adding to all games. Was thinking I could possibly sell a game like that too on iPad. There’s a lot of educational stuff out there, but lots of it is boring. Anyway, can’t sell anything while I’m at Big Fish due to non-compete. @Greg: That is a good score and it’s tough to beat level 11, well done. You beat the best score of my co-workers too by about 40 points! Thanks for playing Tony! I didn’t know about that bug, will fix!